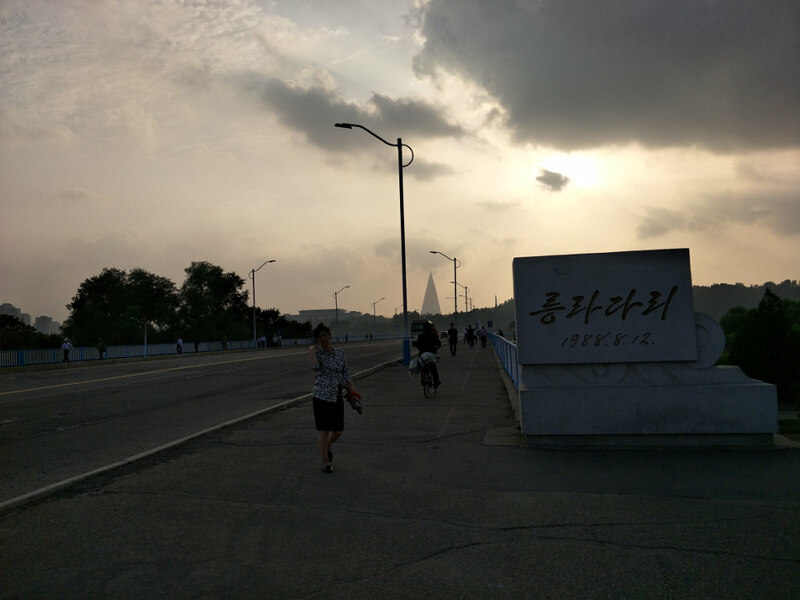 By Alek Sigley, founder of Tongil Tours and postgraduate student at Kim Il Sung University. 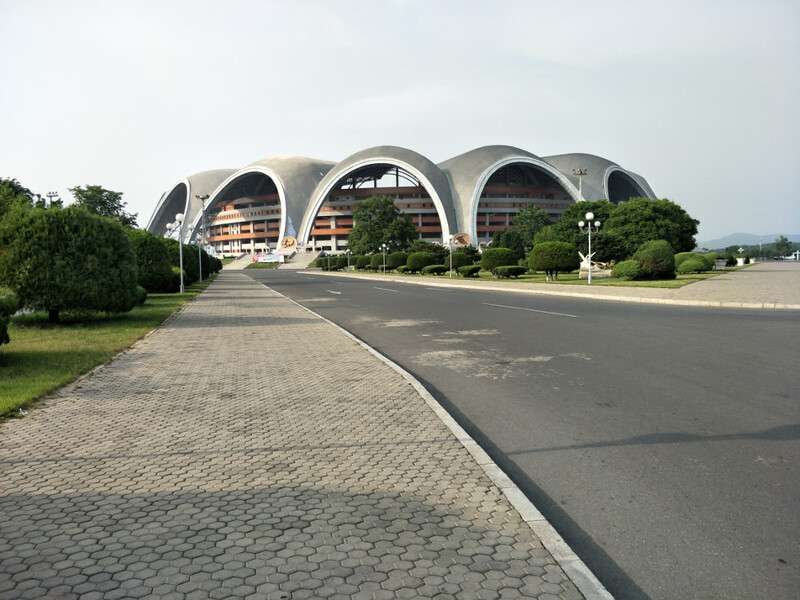 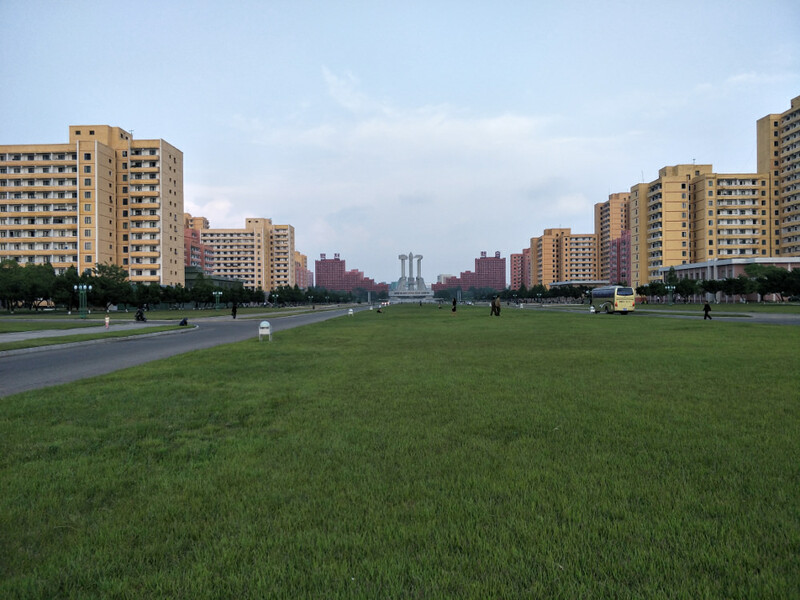 This post is from my first semester at Kim Il Sung University (April-July 2018). 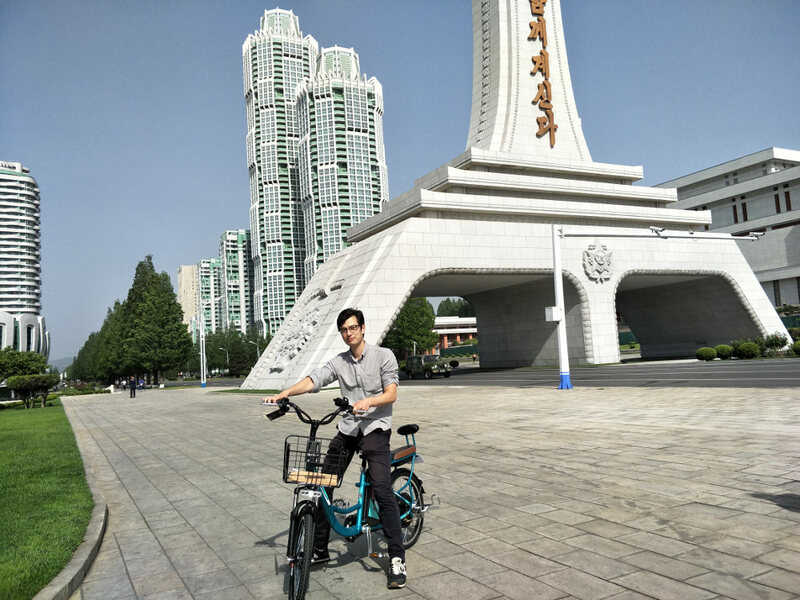 Ever since arriving in Pyongyang at the beginning of April, I had wanted to get a bicycle. 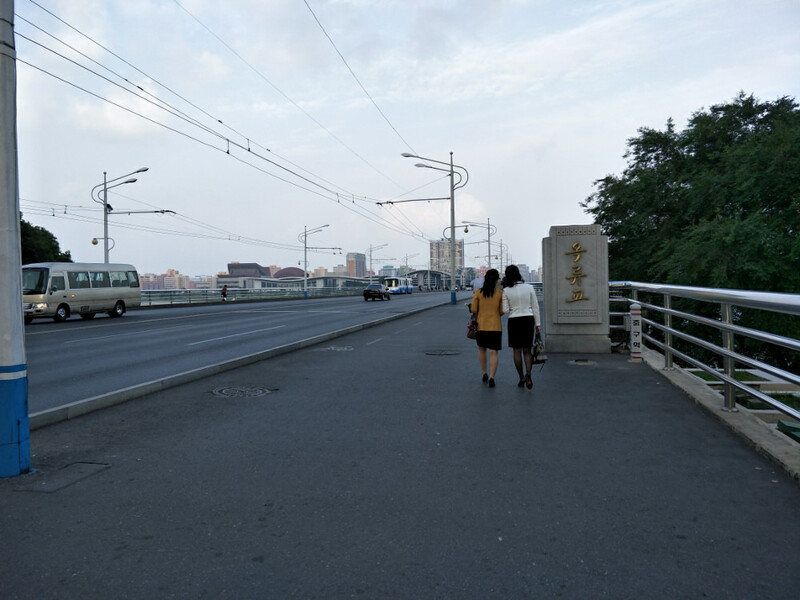 Not only would a bicycle save me time on my journey to class and back home to the dormitory, it would in the long run also save me money when going to other parts of the city, as taxis were a bit expensive (largely due to the fact that sanctions make fuel expensive). 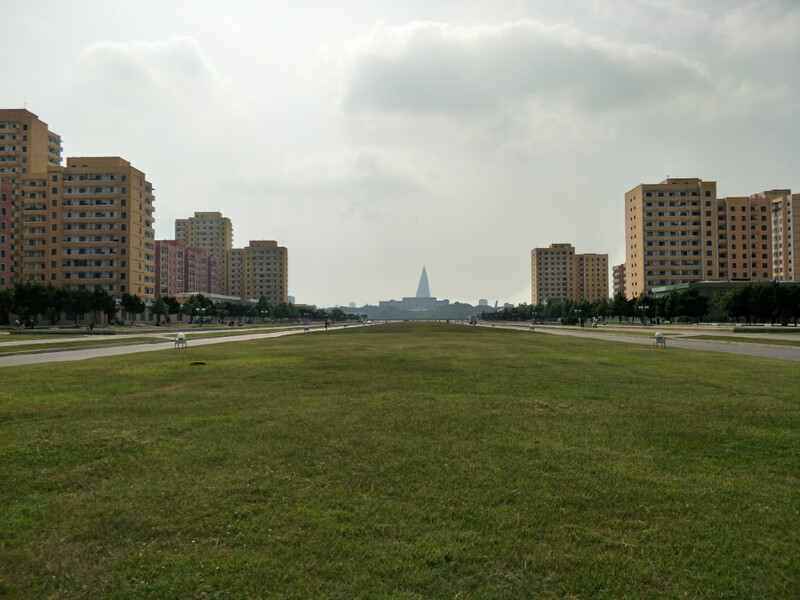 Cycling would also be a great way to see and explore more parts of Pyongyang, and allow me to go much further afield than on foot. 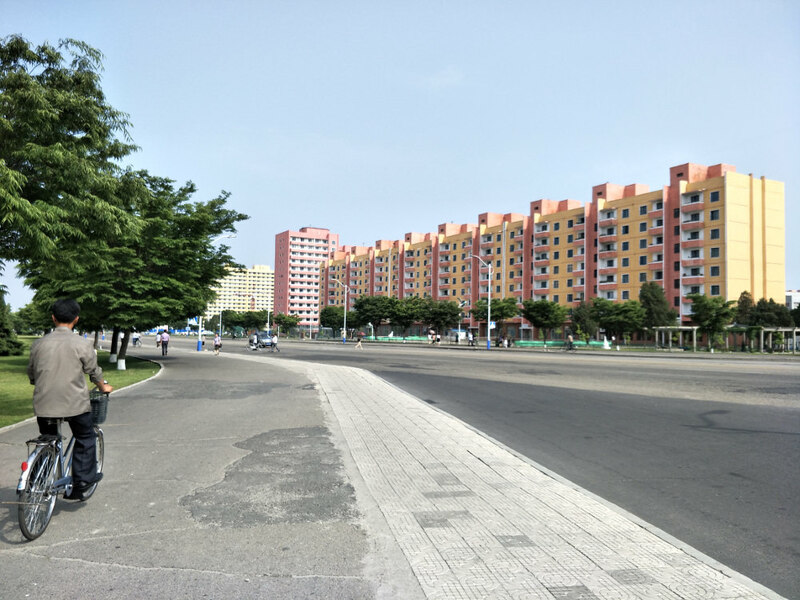 So in late May I went with two other students in the Kim Il Sung University Foreign Student Dormitory, Xai from Laos and Han Sol from Canada, who took me to a store they knew not far from the “300 Families Apartments” down the other end of Ryomyong Street, the imaginatively named Pyongyang Bicycle Shop (평양자전거상점). 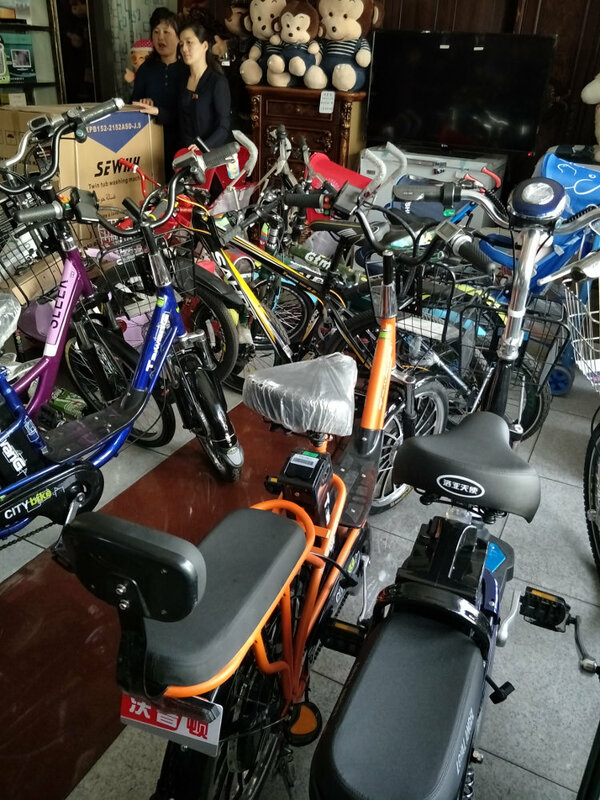 I ended up buying a Chinese electric bicycle for $480 USD. 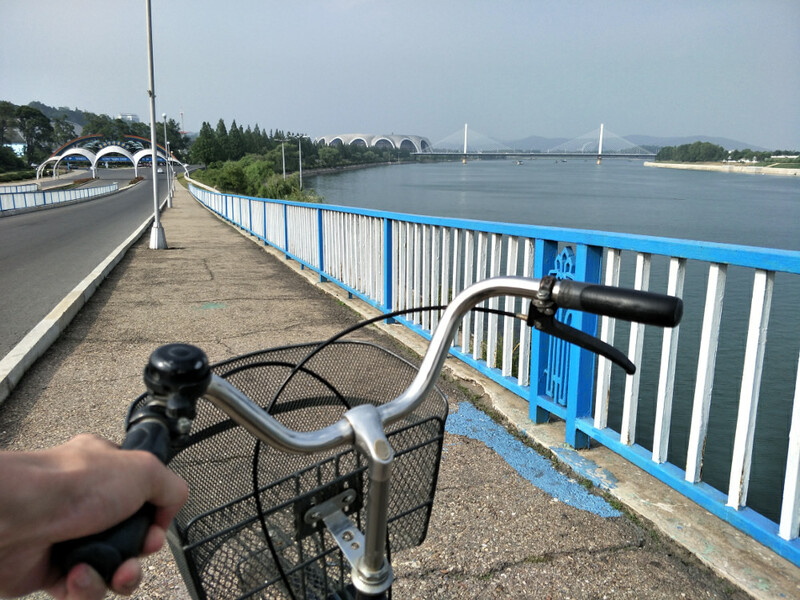 This was a large chunk of my savings so I would make sure to make good use of this bicycle the two years I plan to be at Kim Il Sung University. 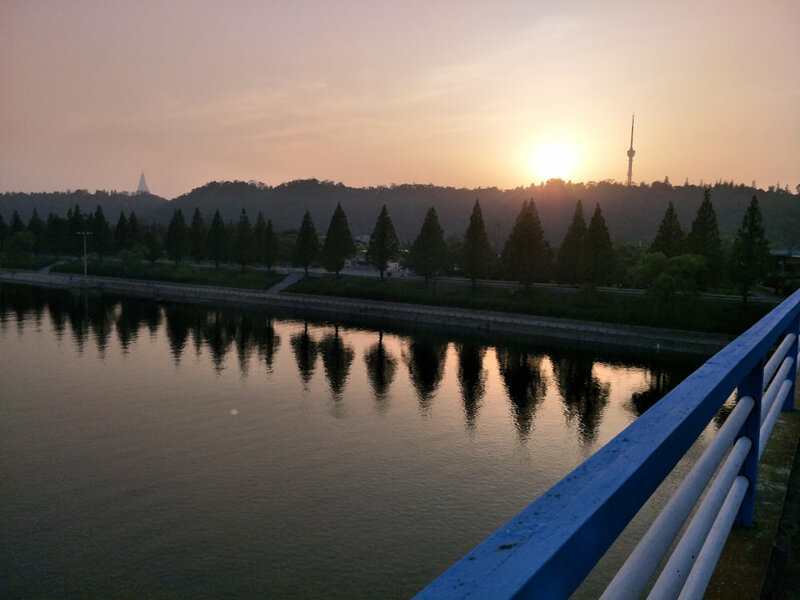 That afternoon I took the bicycle for its first spin. 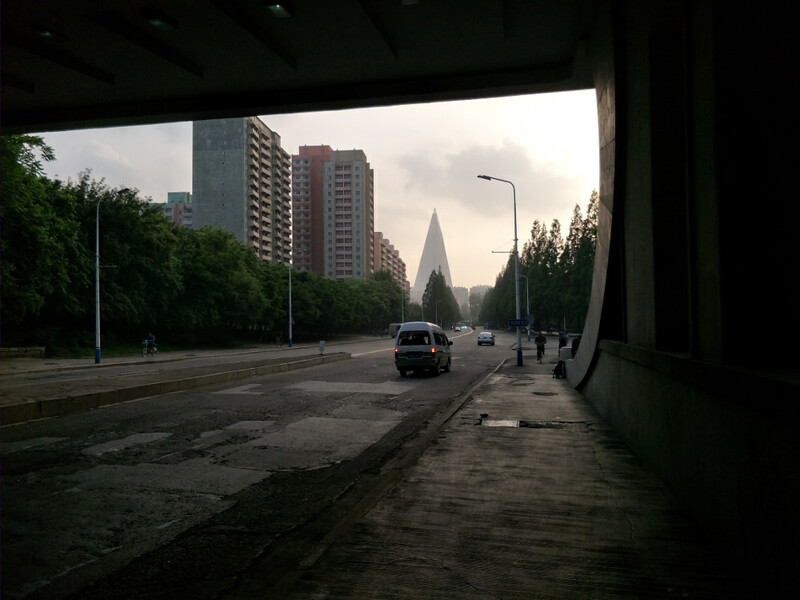 I had to go to the Koryo Hotel to pick up some North Korean novels for my master’s thesis research that I had ordered in. 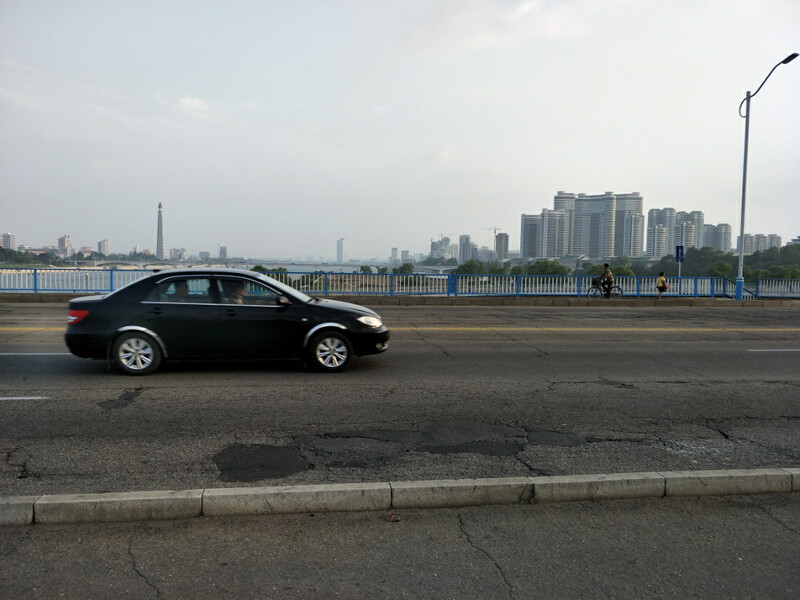 For the same trip, a taxi would have cost in the range of $5 – $7 USD, and wouldn’t have allowed me to savour the scenery on the way. 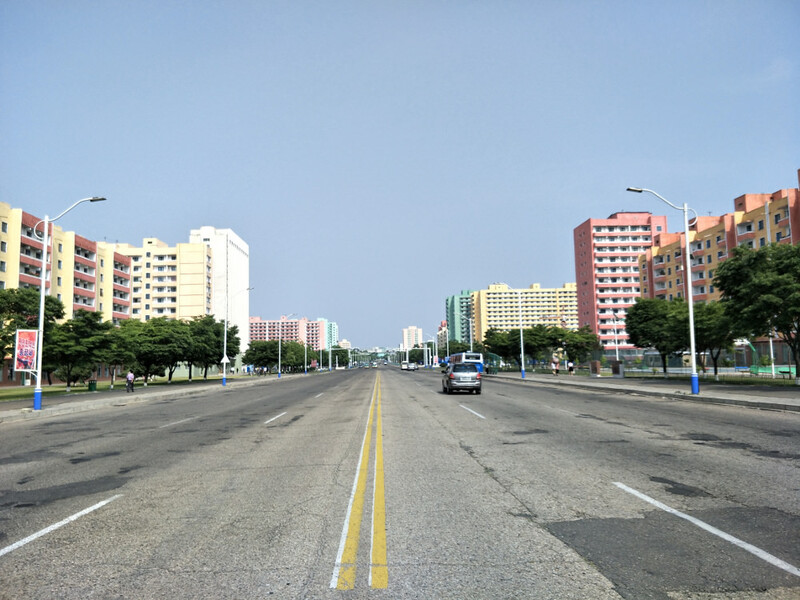 I went down to the end of Ryomyong Street, then turned left and went down Pyongyang’s main artery Sungri (“victory”) Street. 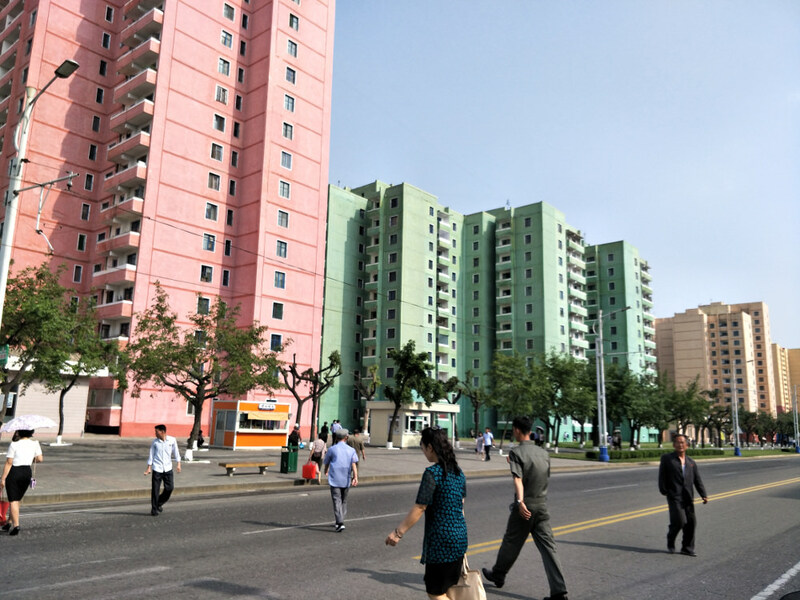 Some of the city’s most recognisable landmarks were clustered around Sungri Street, which was once early on in North Korea’s history known as “Stalin Street”. 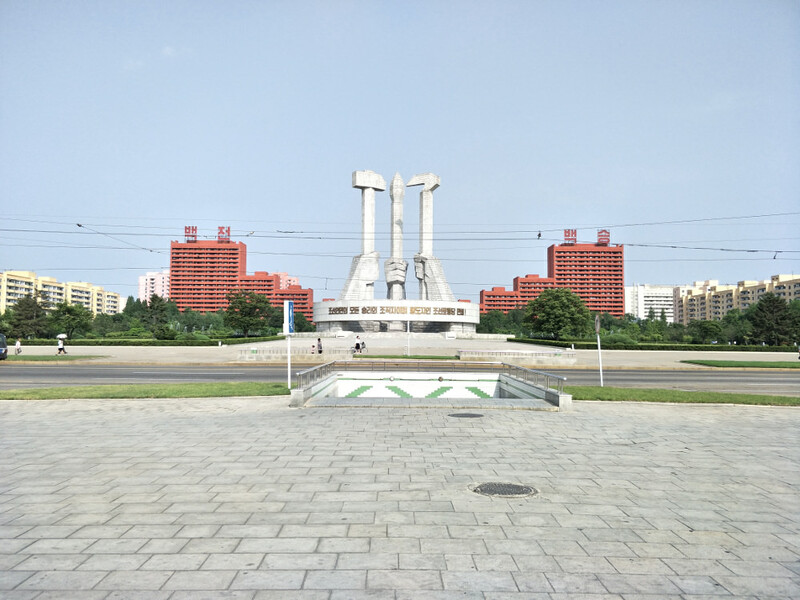 I passed the Chinese embassy, the Arch of Triumph, Moranbong Park, the Chollima Statue, the giant bronze statues of Kim Il Sung and Kim Jong Il on Mansu Hill and Kim Il Sung Square. 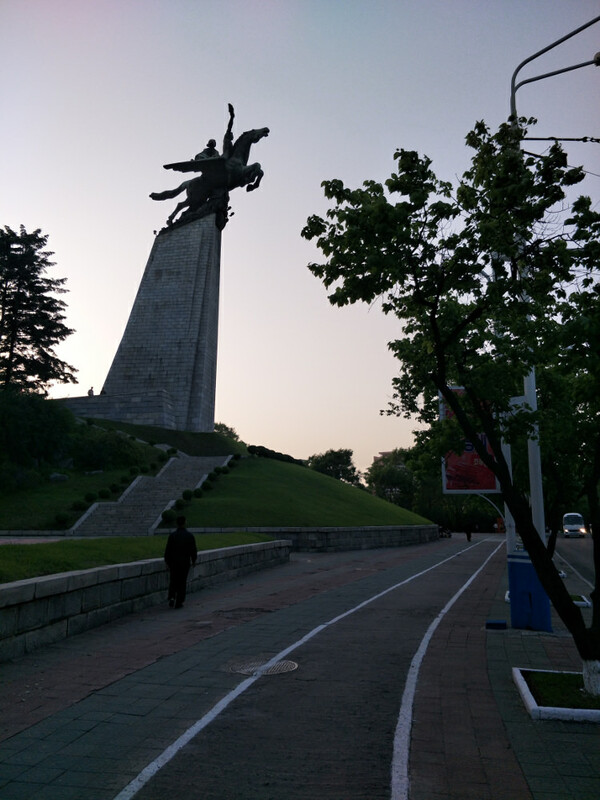 Passing the bronze statues, around which a new rule had been introduced mandating cars to slow down to under 30kmph, I noticed other cyclists dismounting. 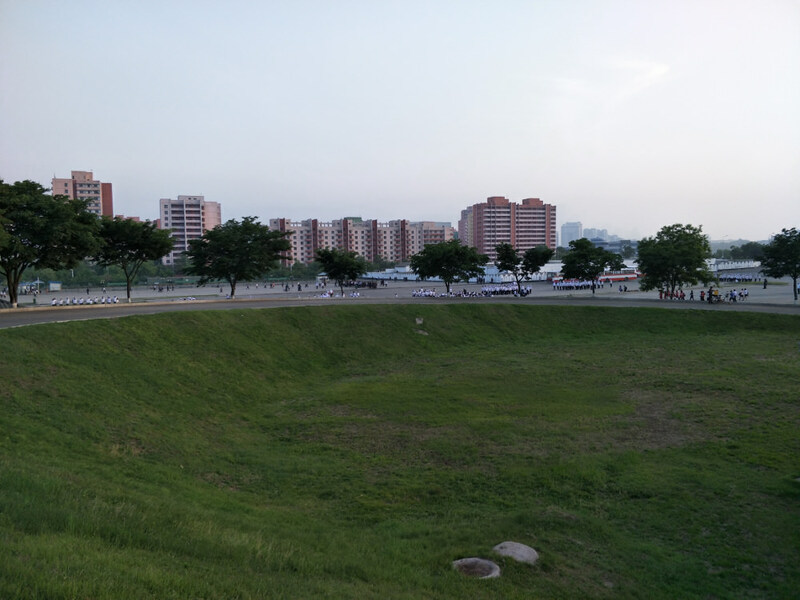 To not cause any trouble, I did the same. 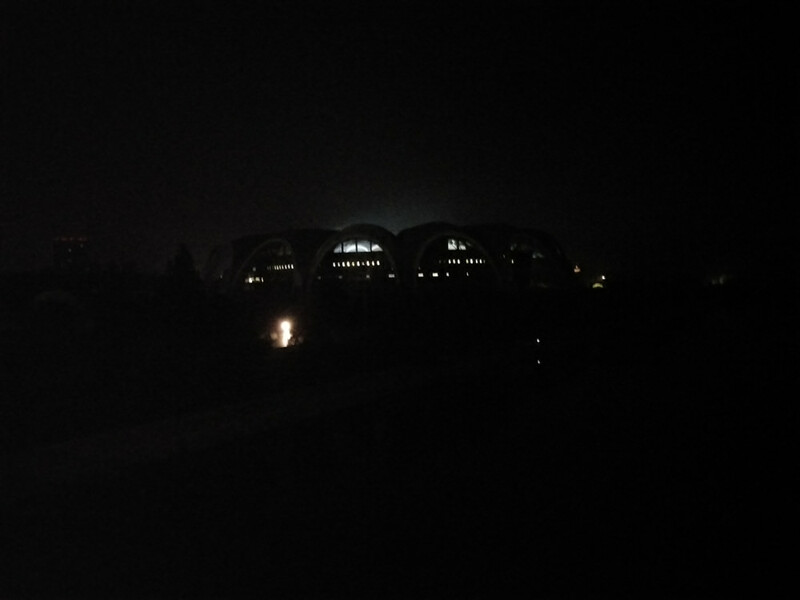 This did increase the journey time by a bit though and it was getting dark. 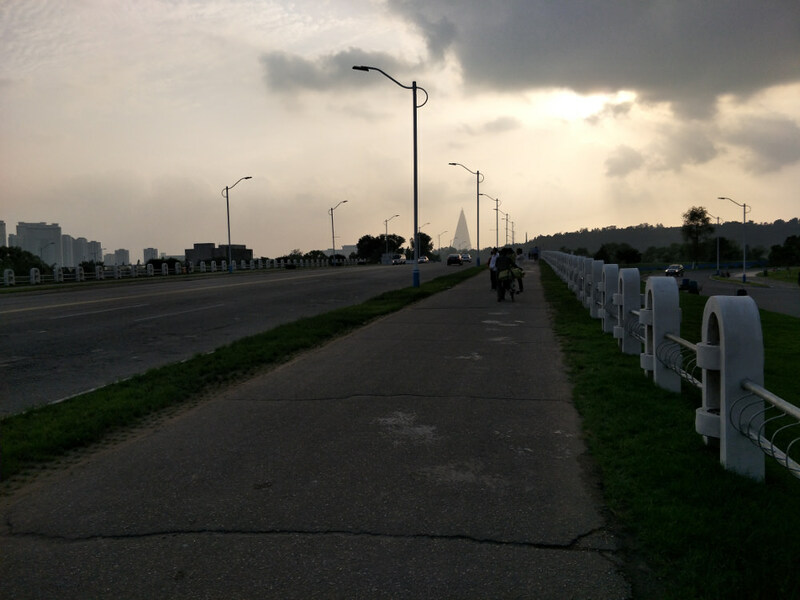 I traveled along a cycling route painted in the footpath. 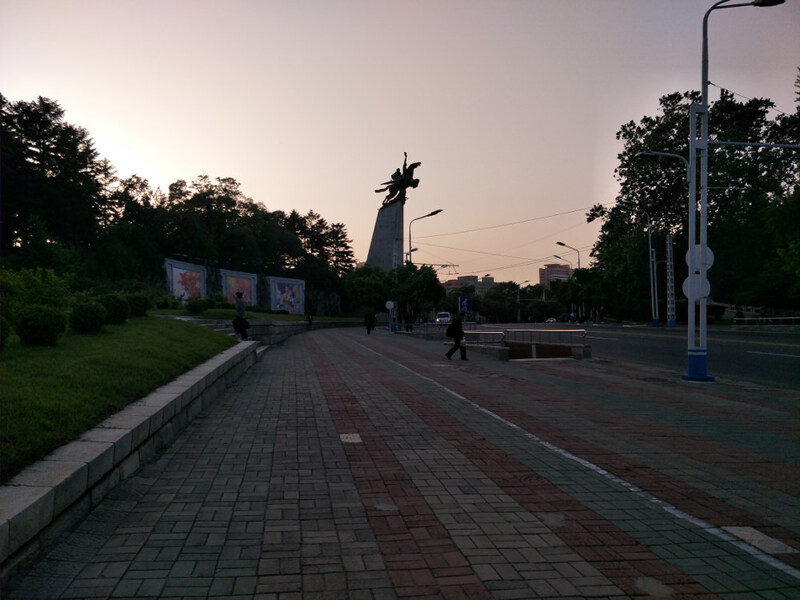 These had been established in the city about two years ago and could be found on most of its major streets already. 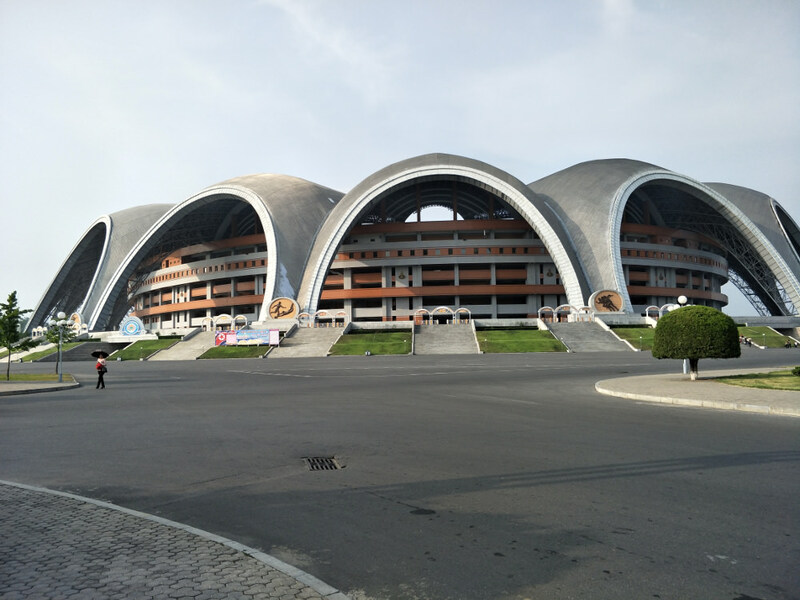 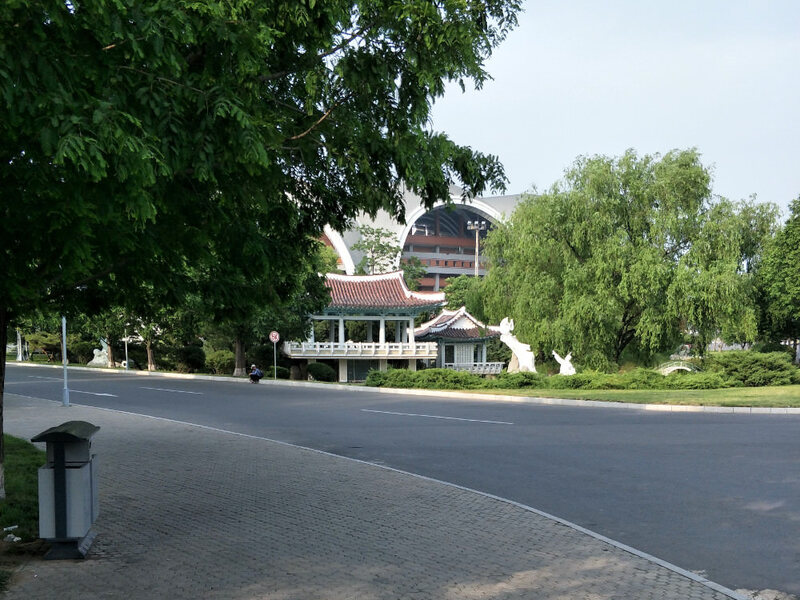 The main inconvenience, I was soon to find, would be that some of the streets in the centre of Pyongyang, such as Sungri Street, and Chollima Street, had virtually no zebra crossings. 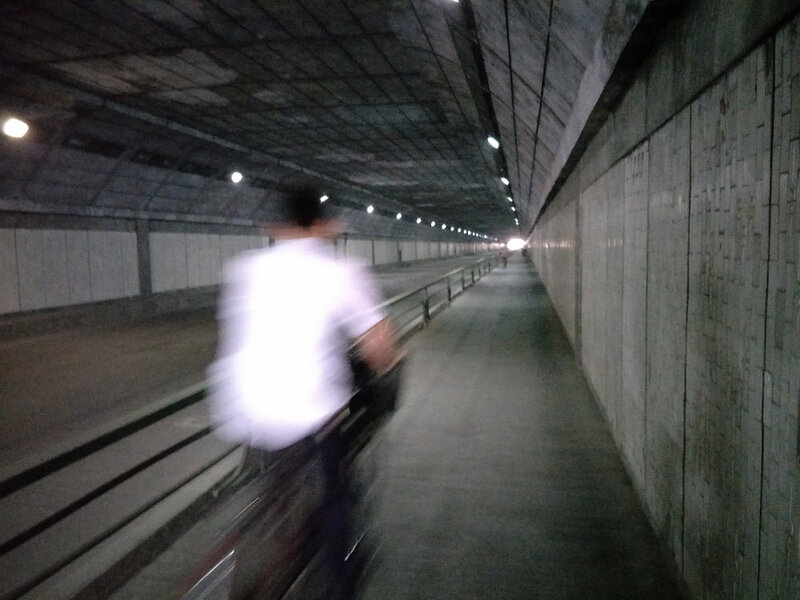 This means cyclists are forced to use the underpass tunnels. 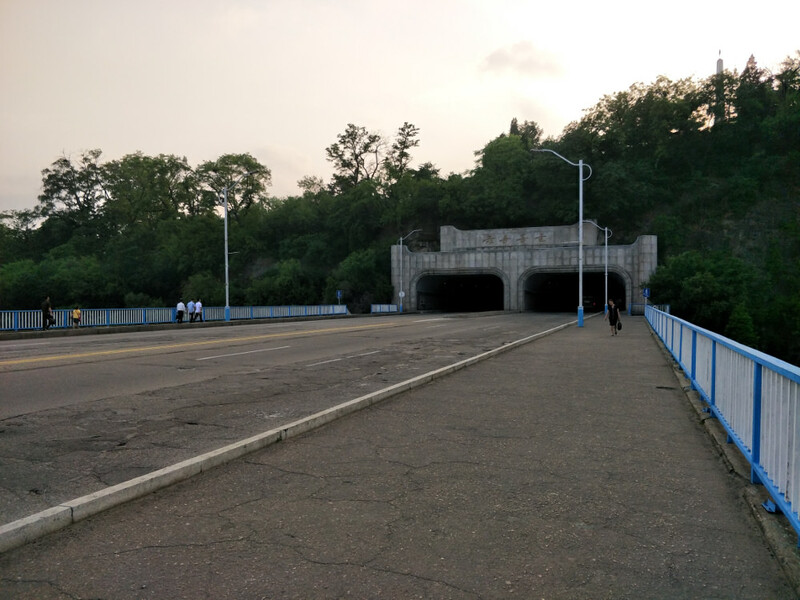 The vast majority of these tunnels had ramps along the side of the steps to make it more convenient for cyclists use them. 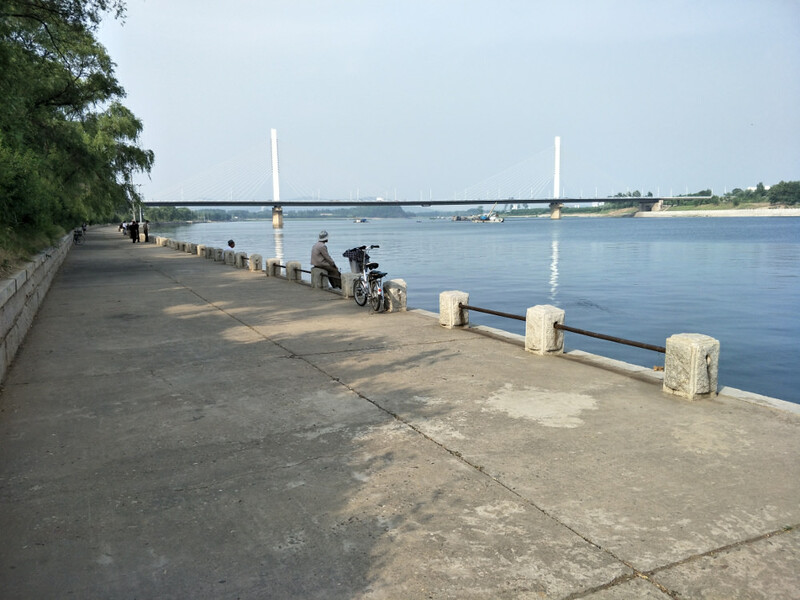 But it was still sometimes a pain to push an electric bicycle, with its heavy battery up the somewhat narrow ramps. 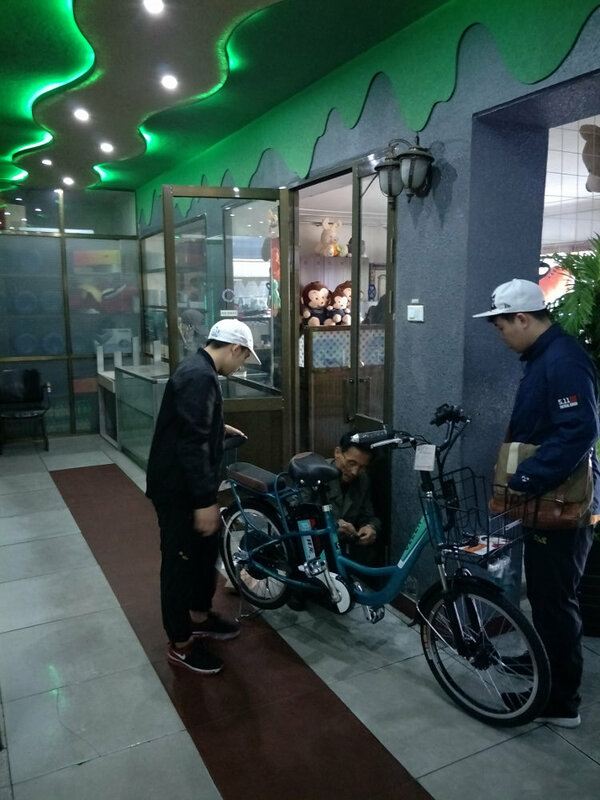 Turning the acceleration on would sometimes mean I’d have to run to keep up with the bicycle, and this could be annoying around rush hour when there were a lot of people using the steps. 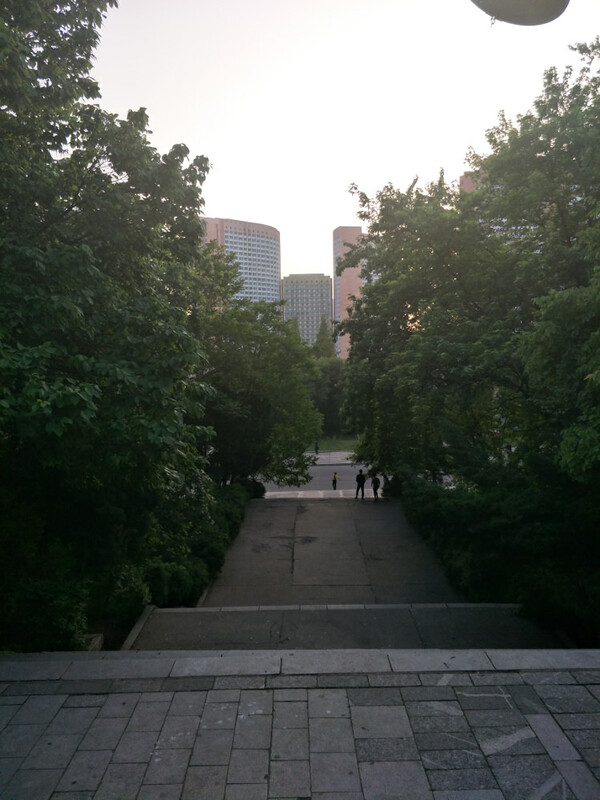 And going down, I would usually have to have the breaks on, lest the bicycle go tumbling down the steps and disaster occur. 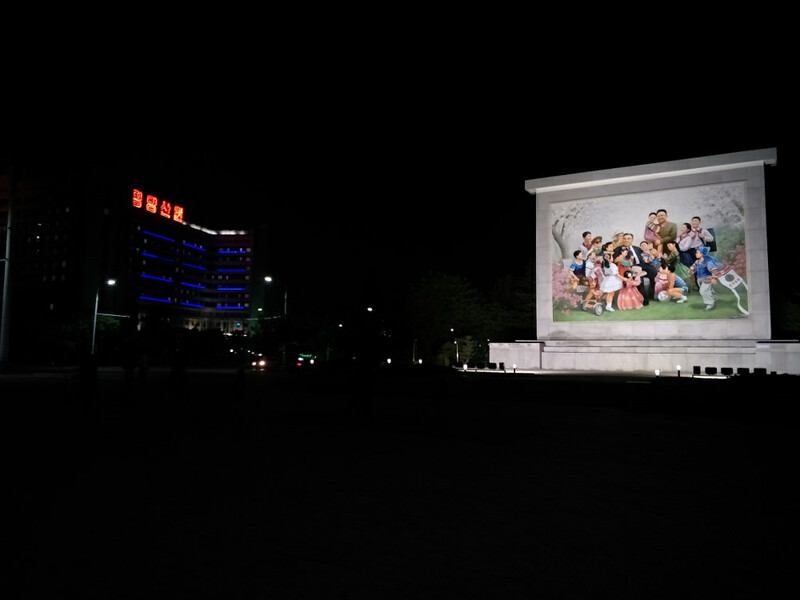 Finally I reached Pyongyang Station at the end of Sungri Street. 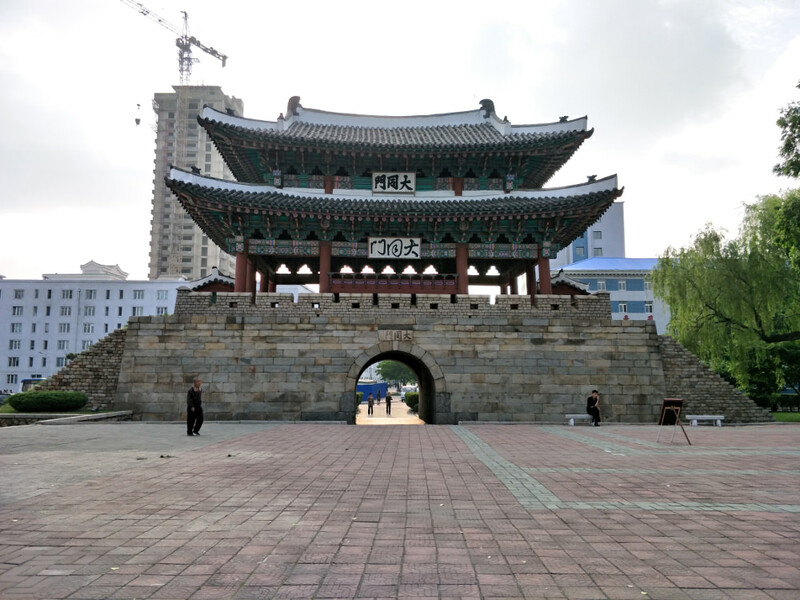 The Koryo Hotel was just around the corner. 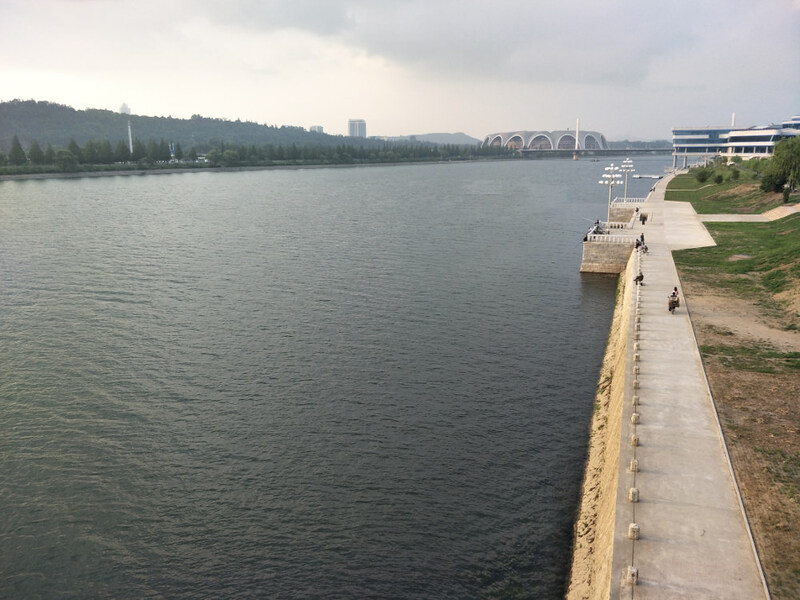 After negotiating with the hotel employees, who found my situation slightly incomprehensible (“Where’s your guide? 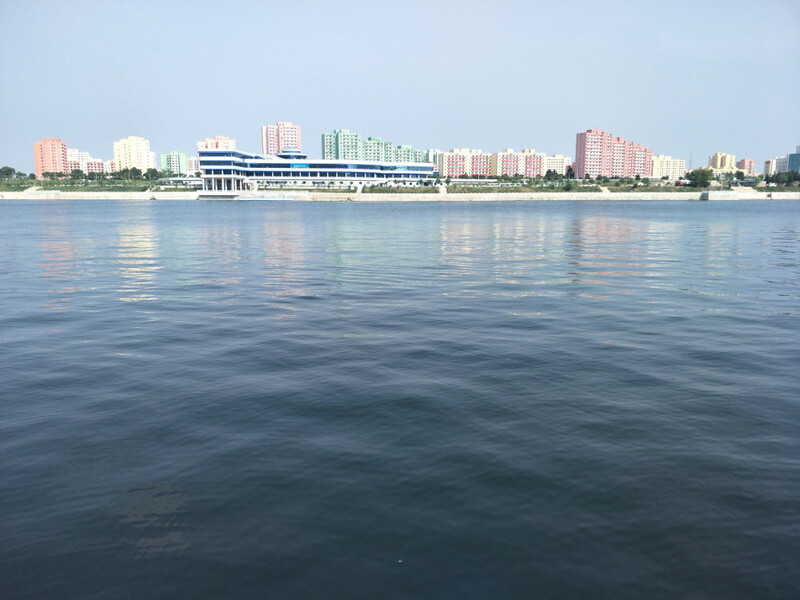 Which hotel did you come from?” etc. 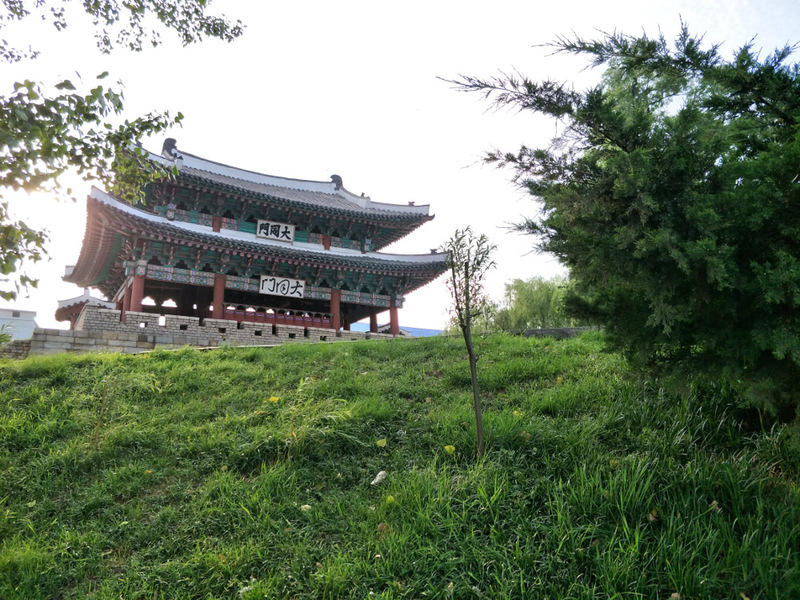 ), I was allowed to park my bicycle out front and pick up my books. 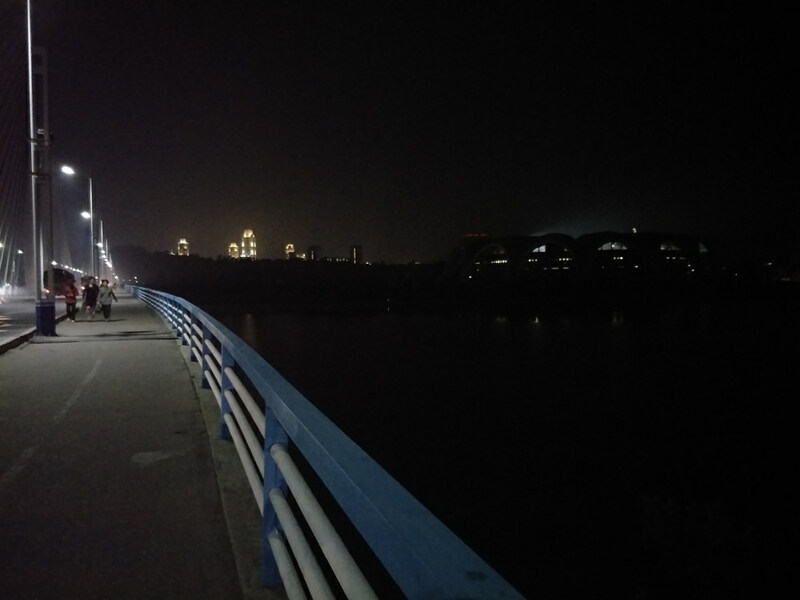 It was already dark when I returned to the dormitory just before our 9pm curfew, but my bicycle’s maiden journey had been a success. 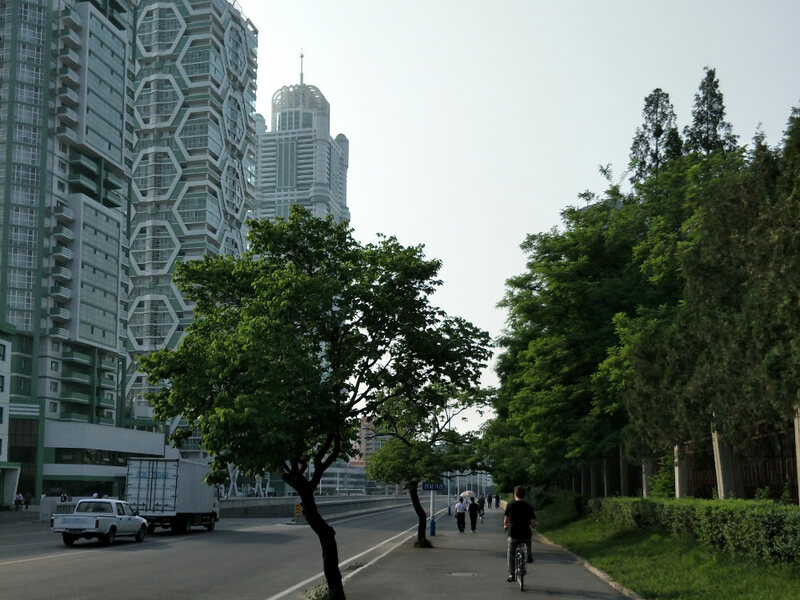 I subsequently went on quite a few cycling trips around the city, finding that the bicycle’s battery could store enough electricity to go to the other side of the city and back. 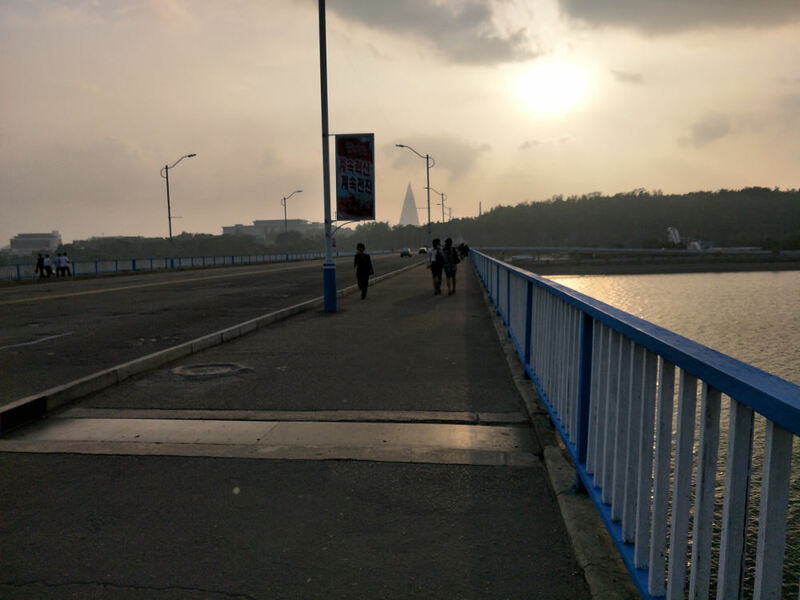 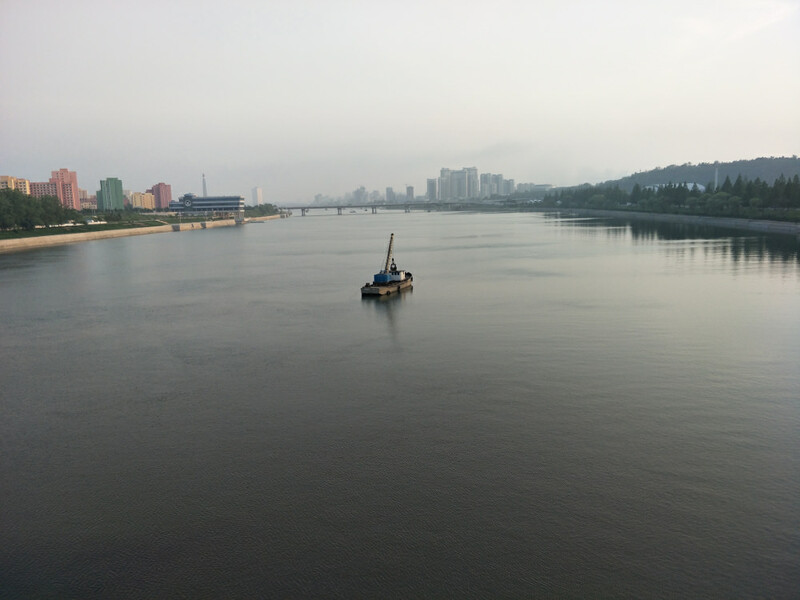 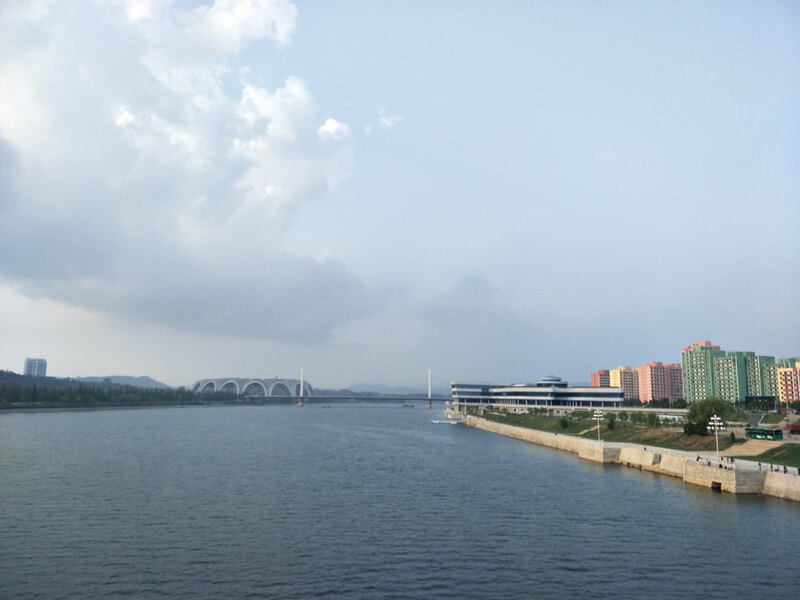 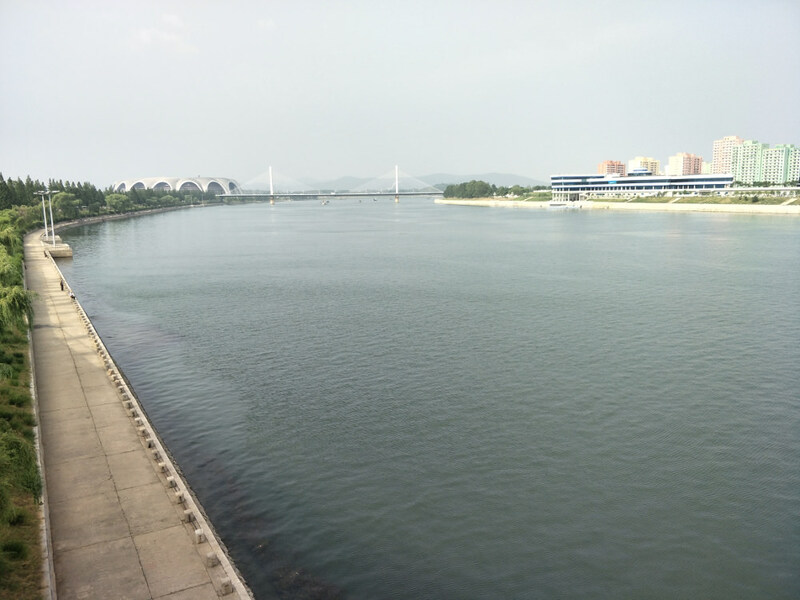 I started with a few trips along the Taedong River, with the goal of crossing all six of the bridges that span it. 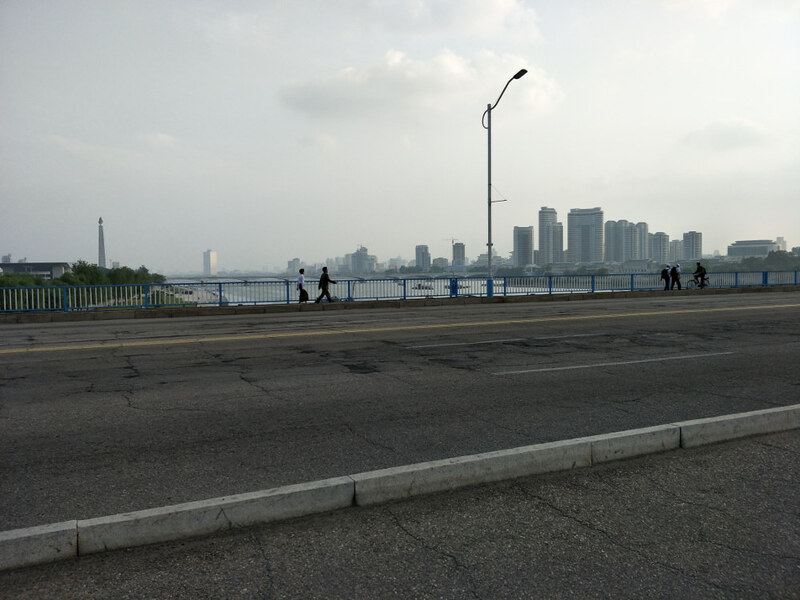 I basically accomplished my goal, crossing five out of six of them, all but the furthest from the dormitory, the “Chungsong Bridge” (충성의 다리; “Bridge of Loyalty”). 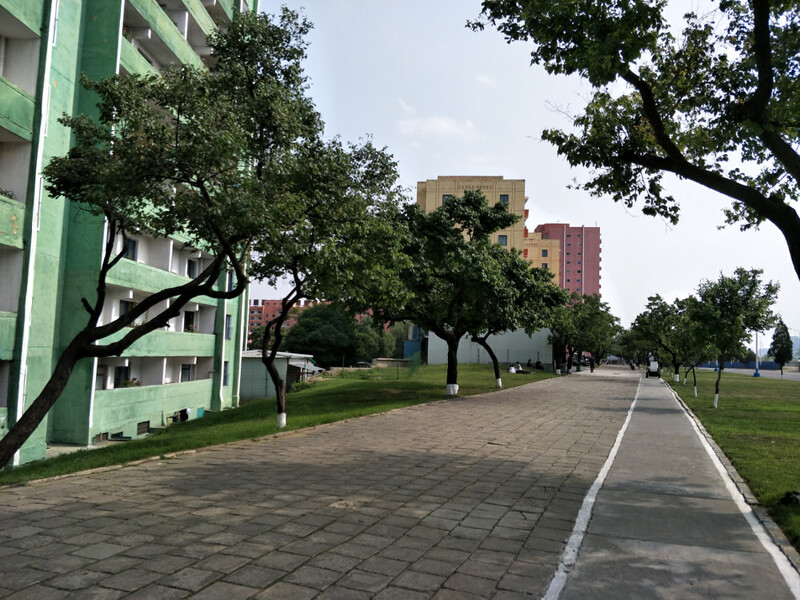 That leaves me something to do next semester! 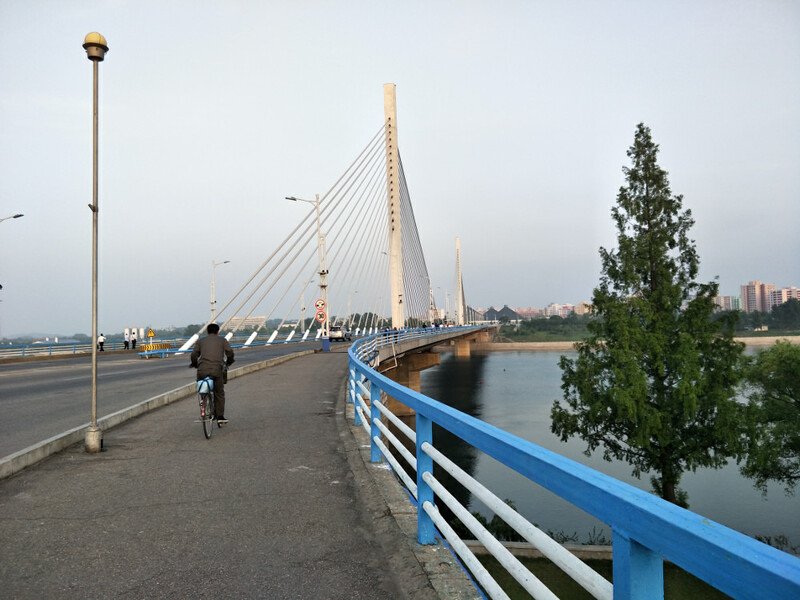 It was nice crossing these bridges on bicycle. 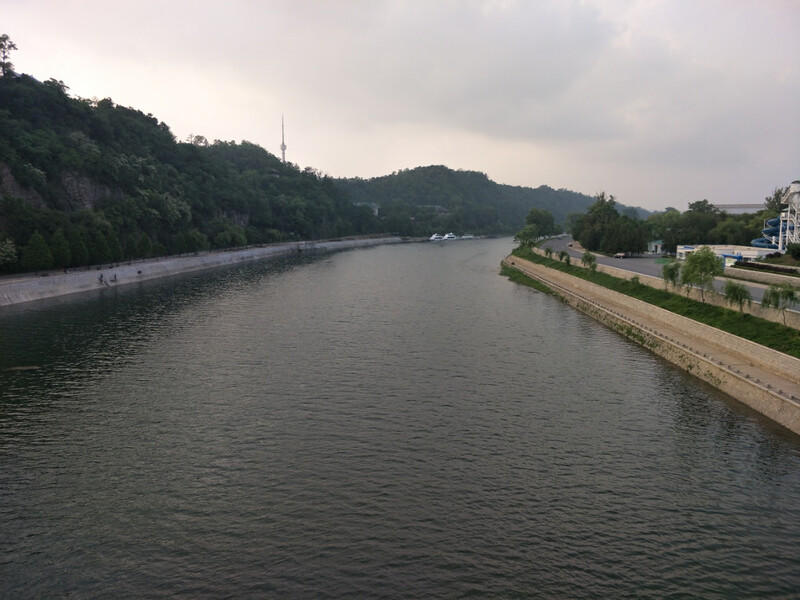 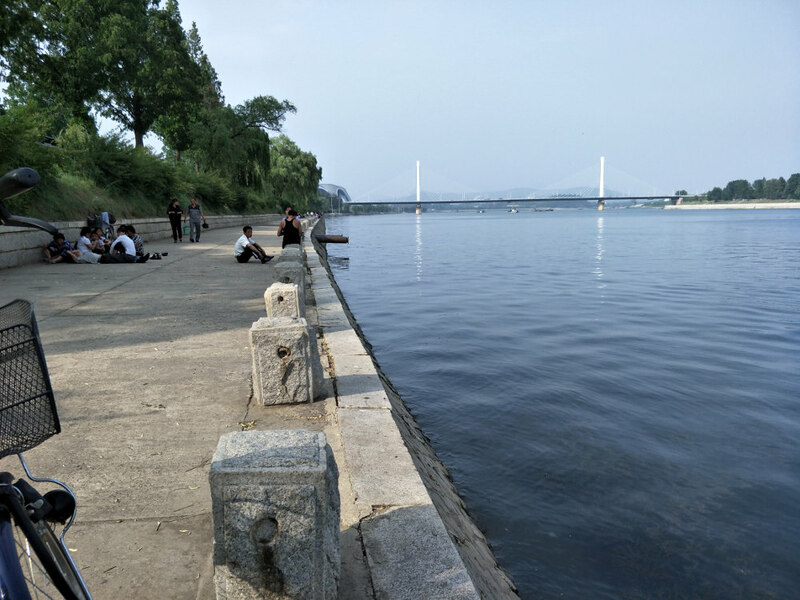 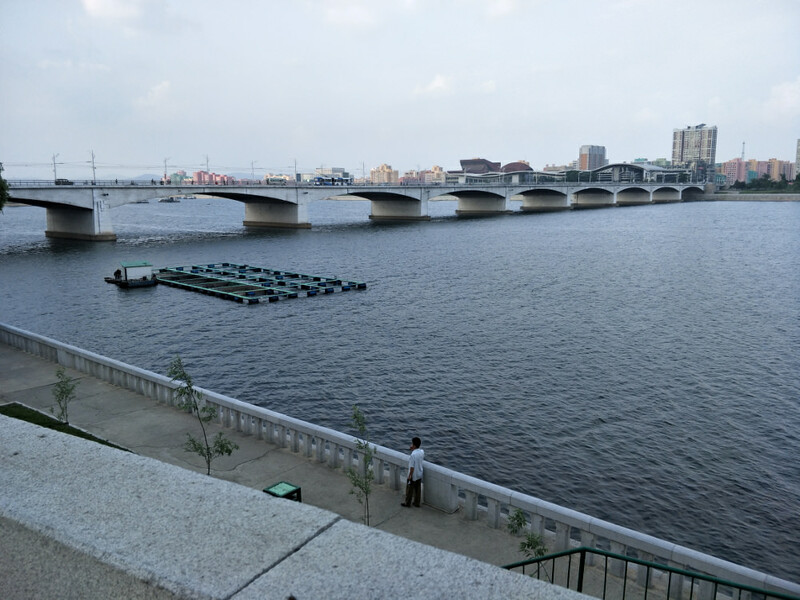 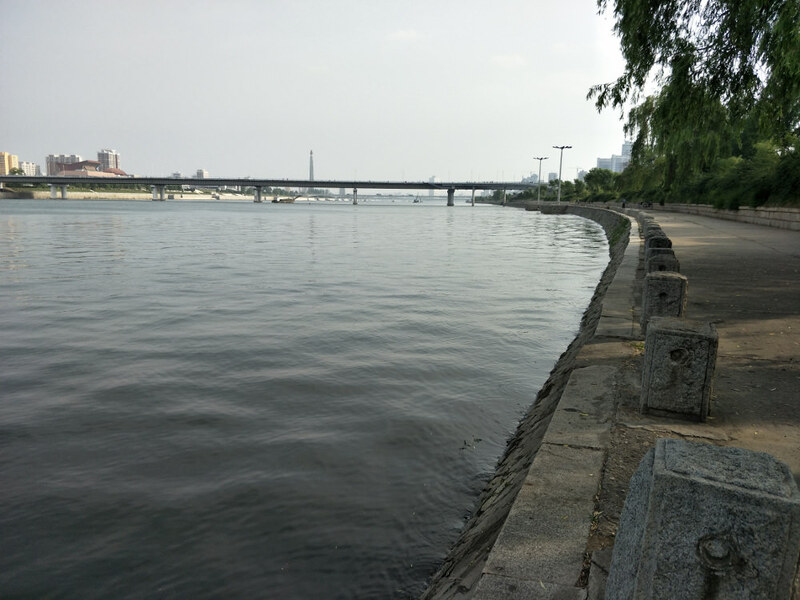 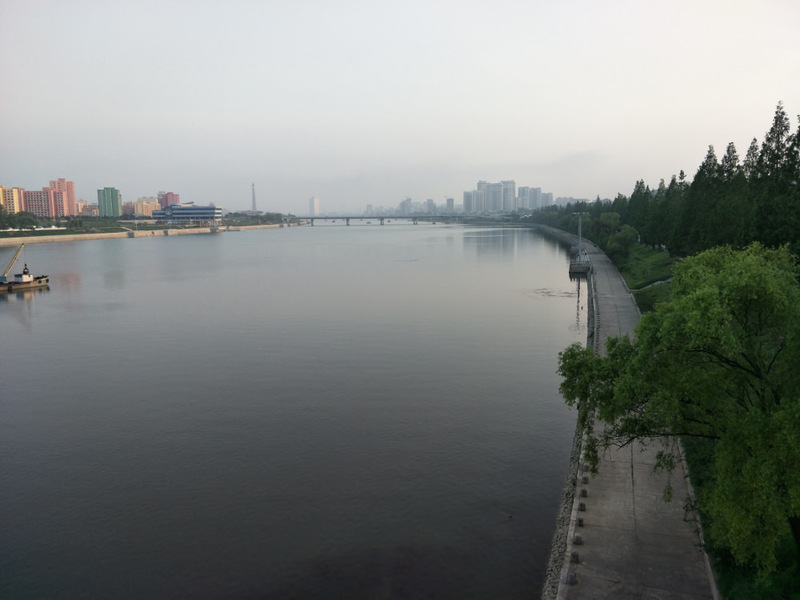 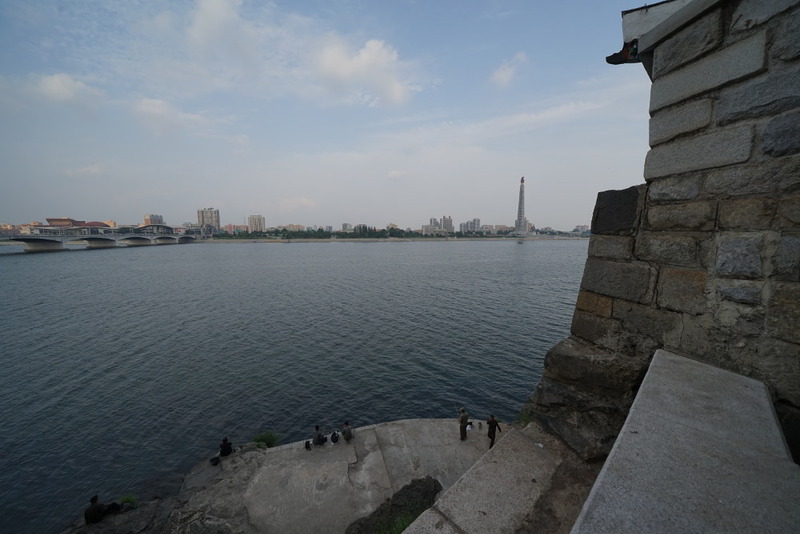 I could stop and enjoy the great views they offered of the river and central Pyongyang. 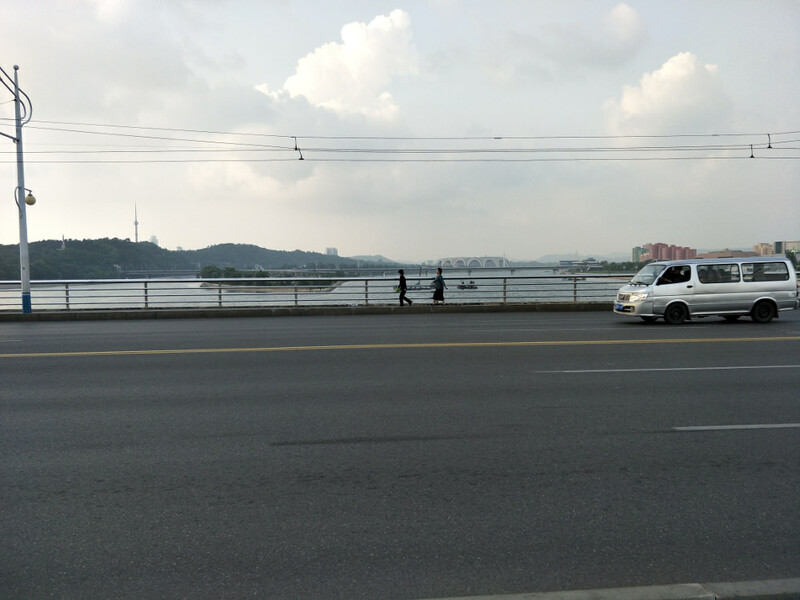 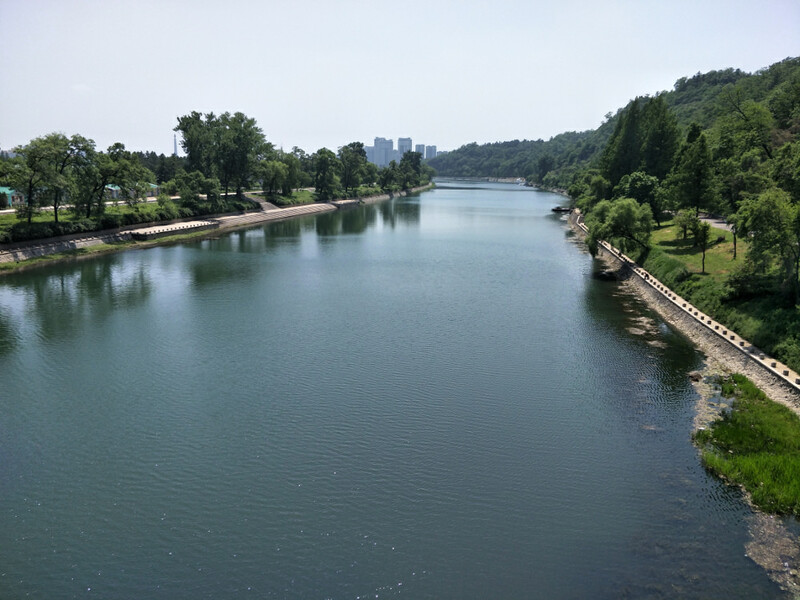 Here are some images from a trip across the Chongryu Bridge (청류다리), a suspension bridge, not too far from the dormitory. 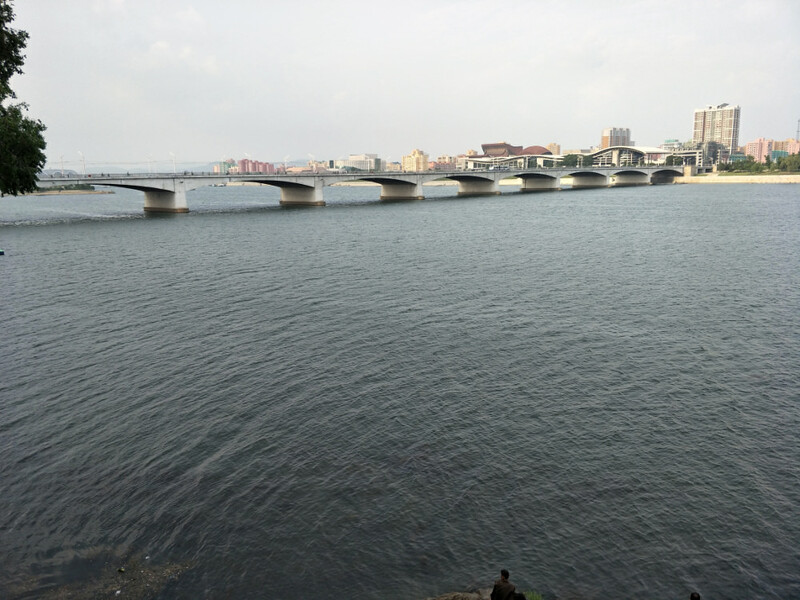 It is the northernmost of the six bridges. 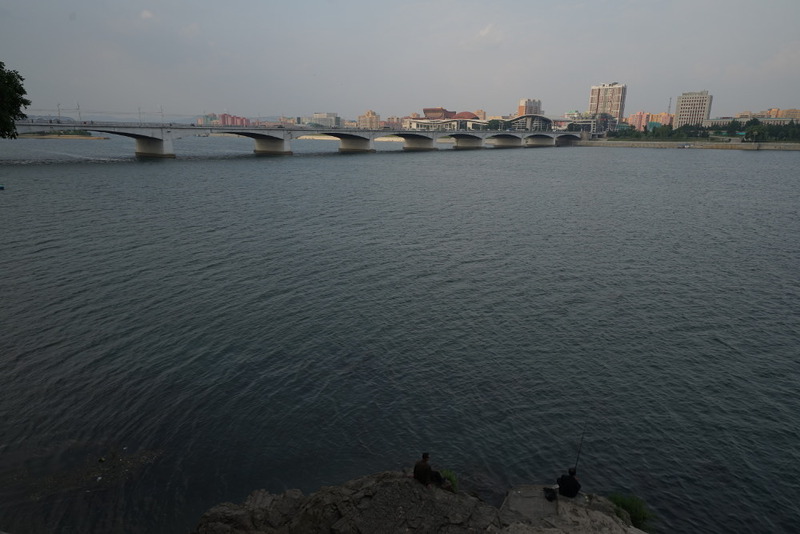 I crossed the bridge on the way to visiting the diplomatic compound across the river in East Pyongyang. 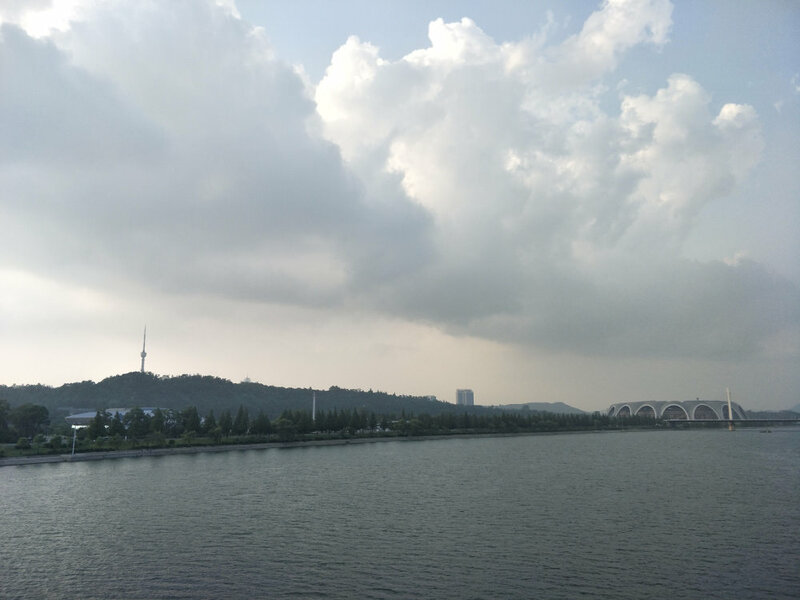 While crossing the bridge, I could feel the concrete shake as trucks loaded full with cargo went past me. 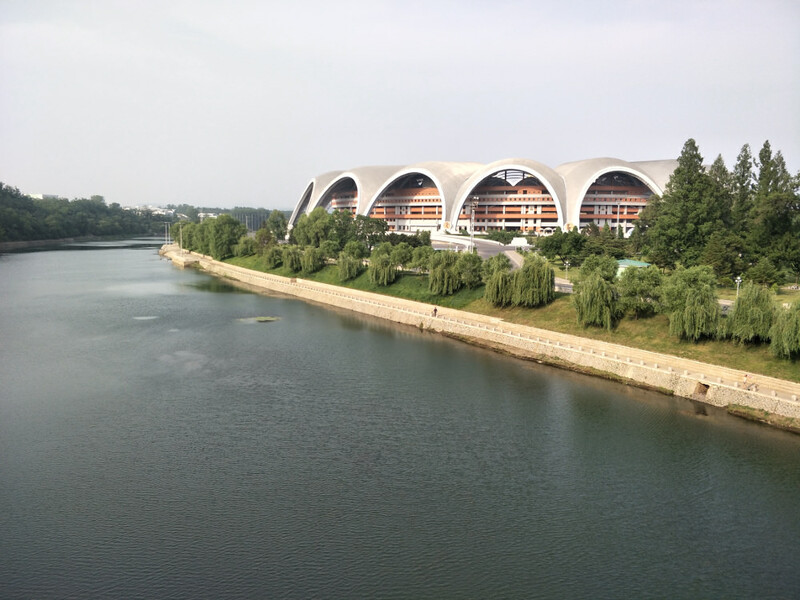 The bridge crosses Rungna Island and offers great views of the mammoth May the 1st Stadium. 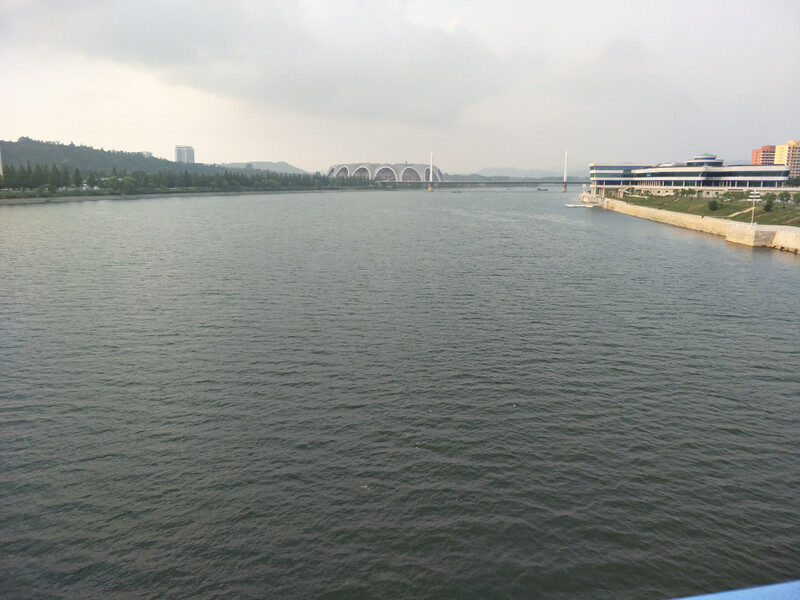 And here are some photos from a trip across the next bridge south down the river, the Rungra Bridge (릉라다리), which also crosses Rungra Island, but a bit further down at its southern tip. 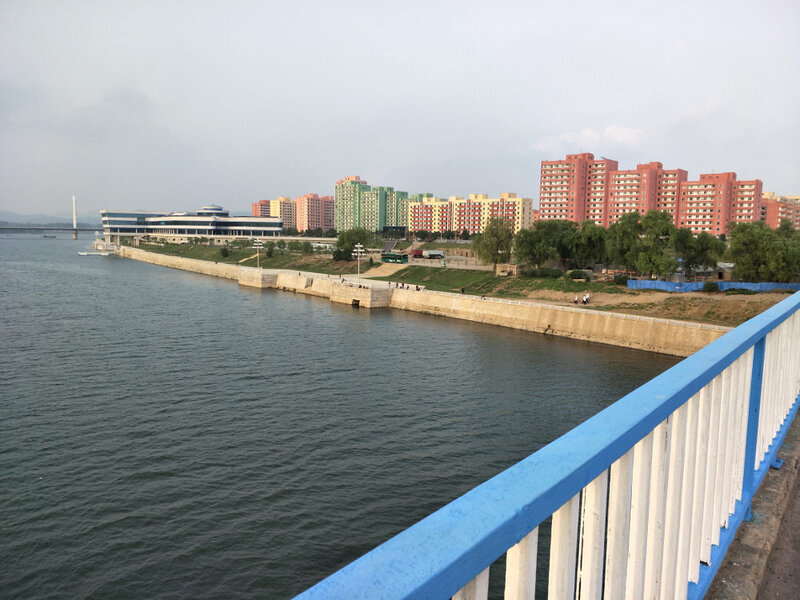 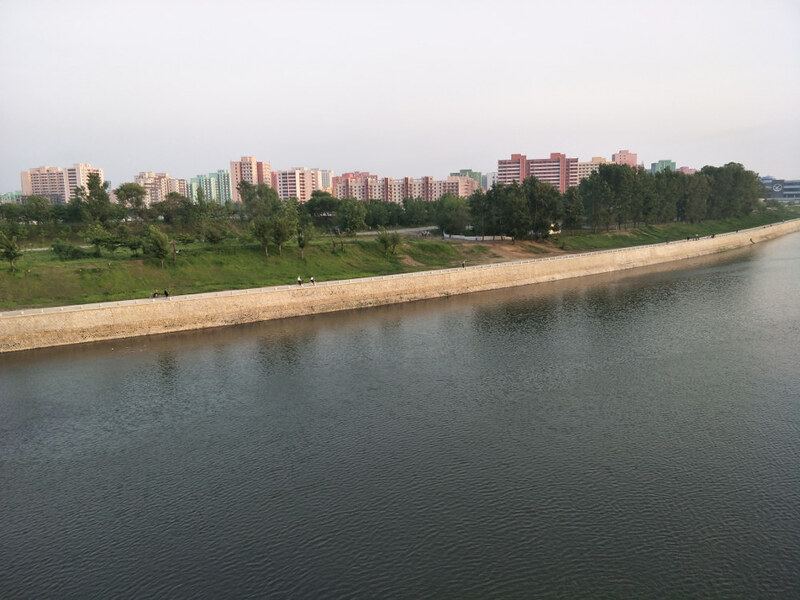 This cycle also offered some good views of the Party Founding Monument and the colourful pastel apartment blocks in this area of East Pyongyang. 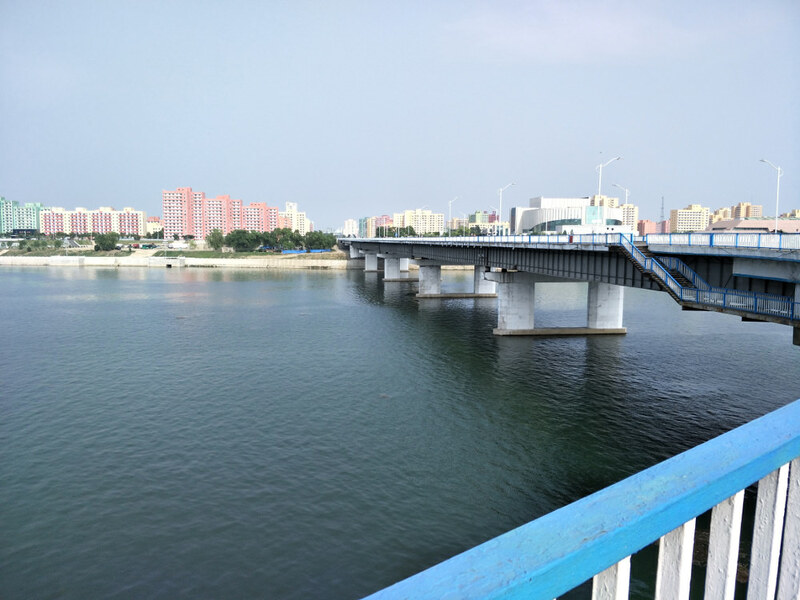 The next bridge south is Okryu Bridge (옥류교). 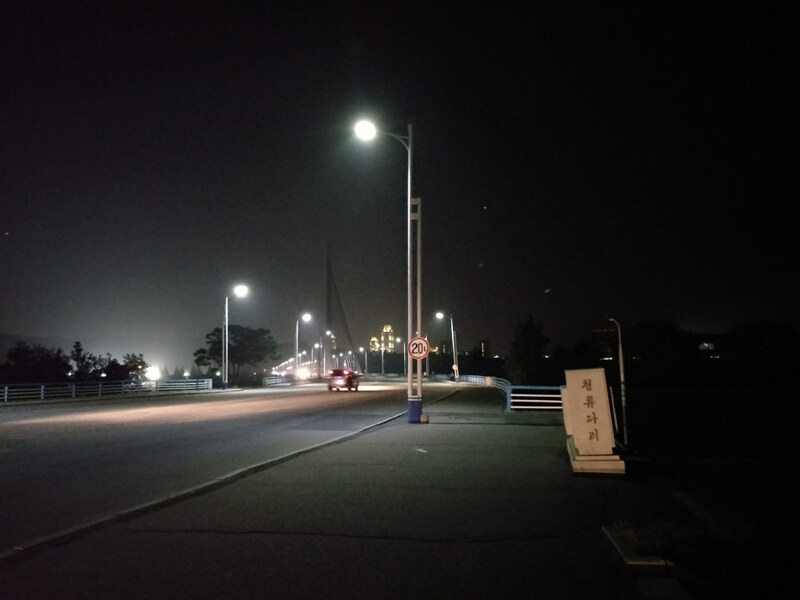 This bridge goes from the Changjon Street high rise apartment complex on the west bank to the wave-shaped Ryugyong Health Complex (류경원) on the eastern bank of the Taedong River. 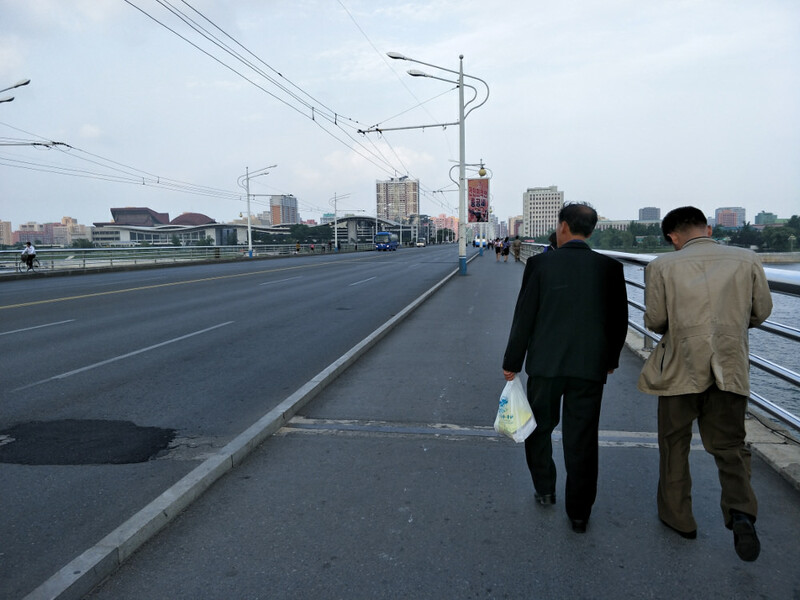 It is one of the two bridges on either side of Kim Il Sung Square so possesses a very central location.